The Shukokai Karate Federation (SKF) was formed in 1980 by Chief Instructor Shihan Eddie Daniels 9th Dan, who is one of the most respected pioneer Karate teachers in the country. Shihan Daniels comes from the old school of karate, and was part of the golden pioneer generation of karate when karate was fresh in the uk back in the 1960's. He has never lost the basic fundamentals of the martial art which is important for the ultimate test in character, to aim to become the ultmate Martial Artist. Keeping to the roots of karate but with a modern approach it is no suprise that Shihan Daniels and the SKF is still around today constantly developing and growing the style of Kimura Shukokai, from who he follows the teachings of his late master, Soke Shigeru Kimura 10th Dan (1941-1995). The Shukokai Karate Federation (SKF) have built a reputation for producing students and instructors of the highest standards over the years. Although sport is only part of our Organisation we have regularly produced Junior & Senior National & International Champions in both Kumite & Kata within Shukokai and All-Styles respectively. 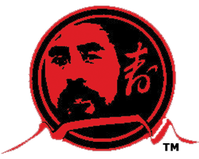 The Shukokai Karate Federation is the only Shukokai organisation within the UK affiliated to Kimura Shukokai International (The World Governing Body for Kimura Shukokai). Only members of the Shukokai Karate Federation may participate in any Kimura Shukokai International European & World Championships and other such events. 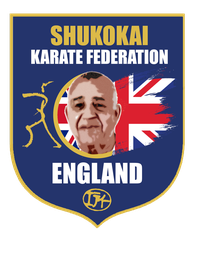 The SKF is also affiliated to the English Karate Federation (EKF) who are the official governing body for Karate in England recognised by the British Karate Federation (BKF), European Karate Federation (EKF) & World Karate Federation (WKF). WKF are the official karate organisation recognised by the International Olympic Committee (IOC). If you want to be part of this forward thinking and constant developing Karate Organisation with ambition and drive, you are welcome to apply at any of our dojos located around the country.